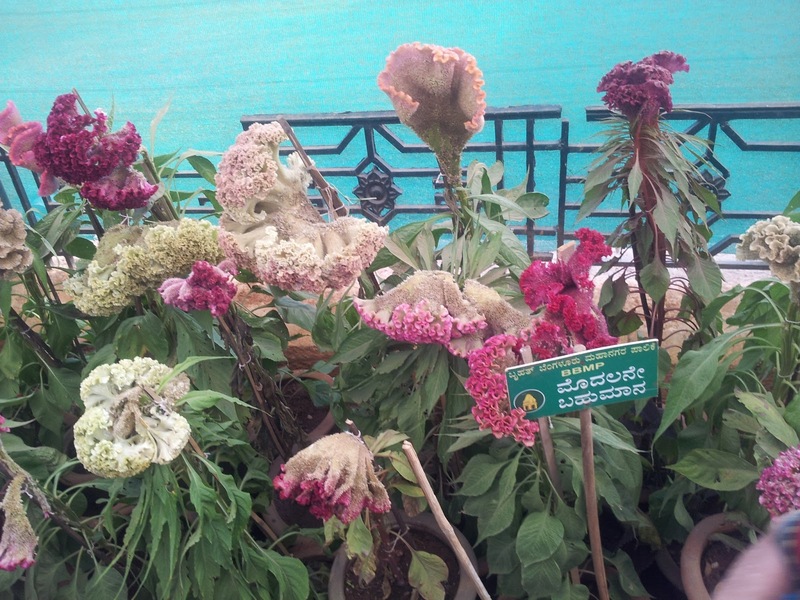 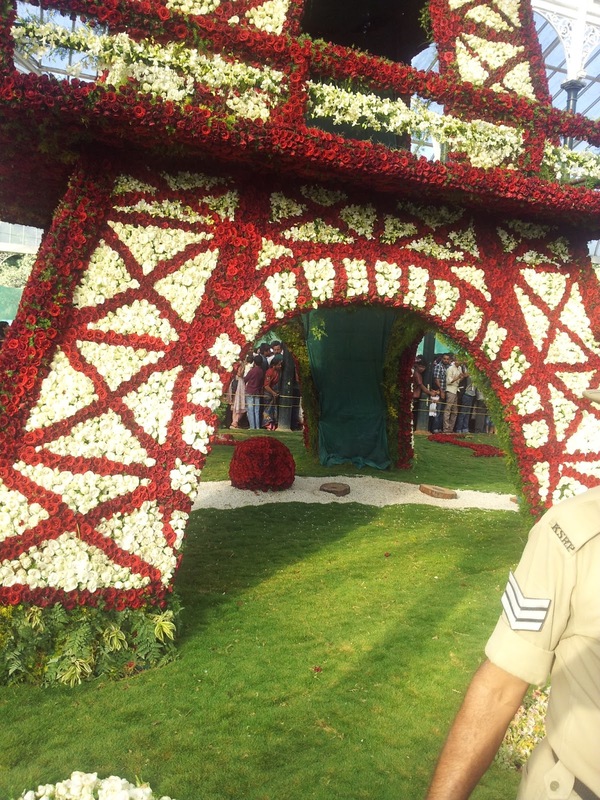 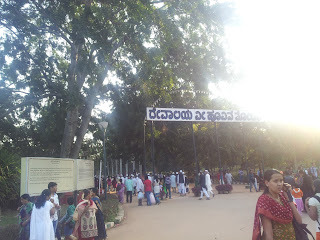 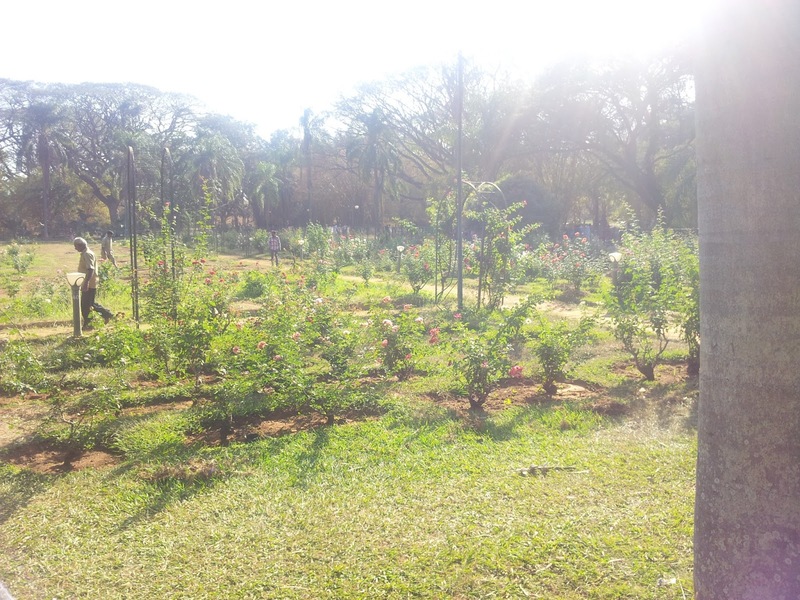 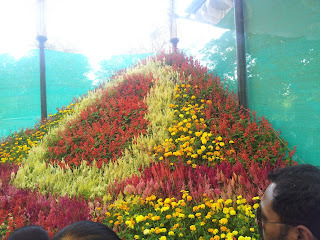 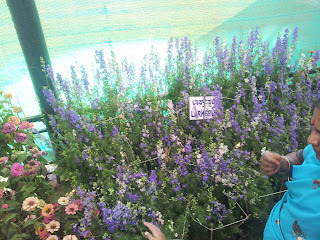 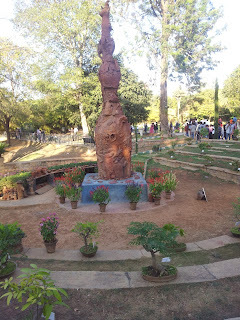 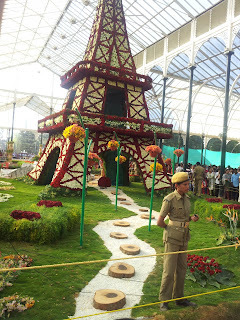 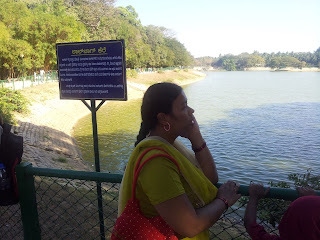 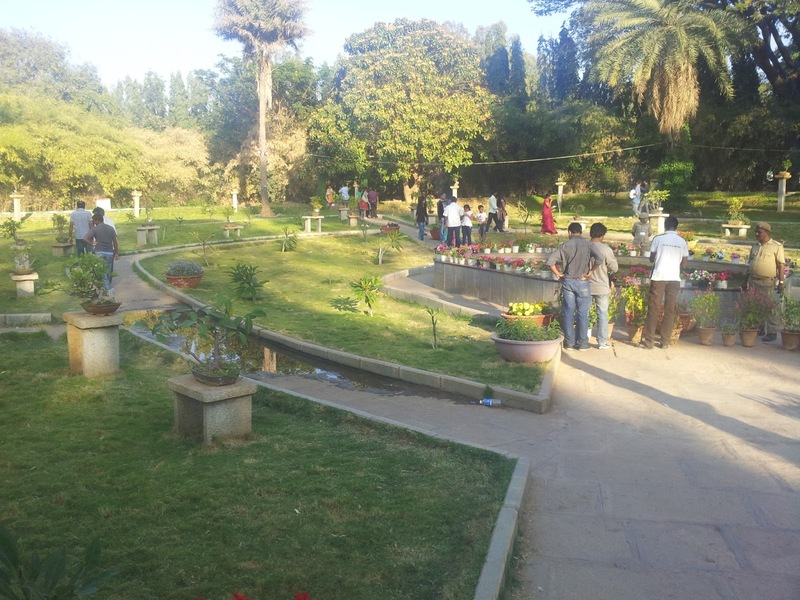 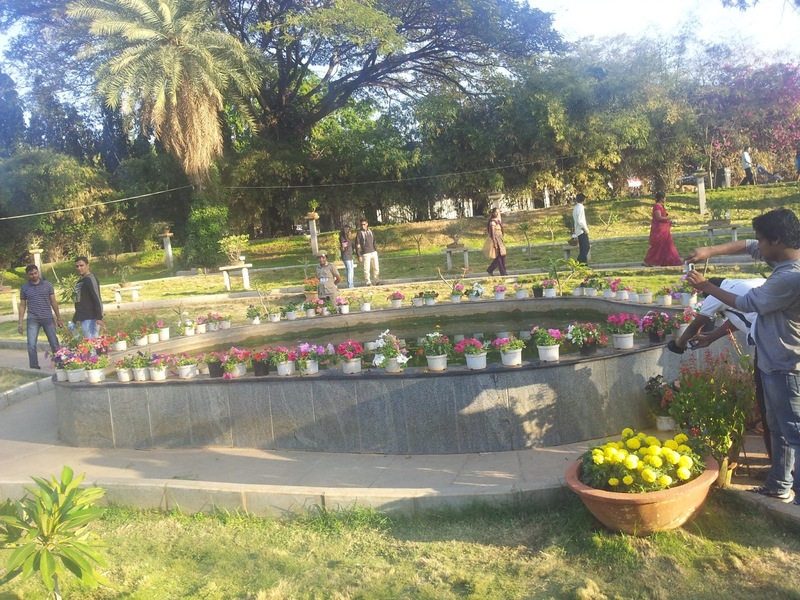 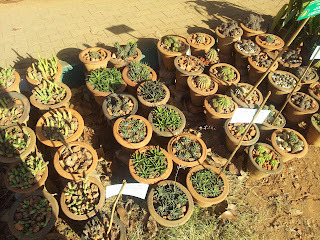 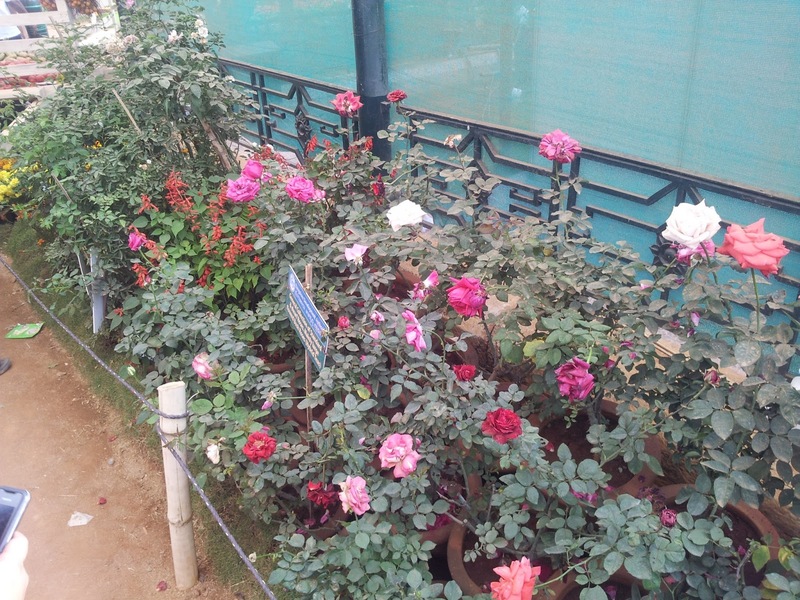 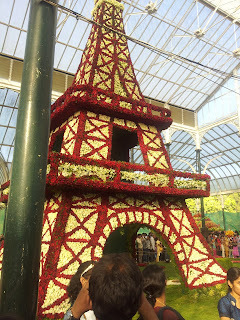 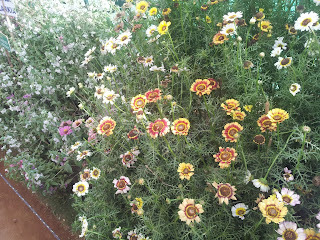 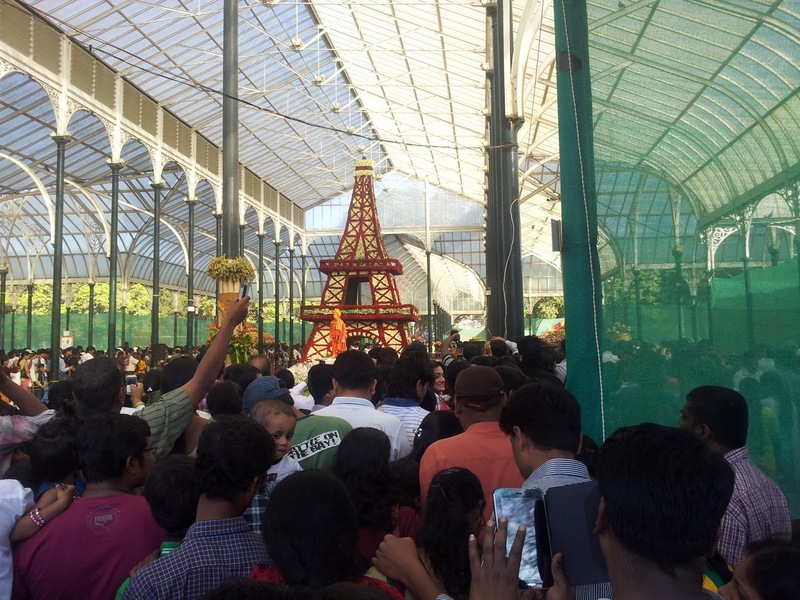 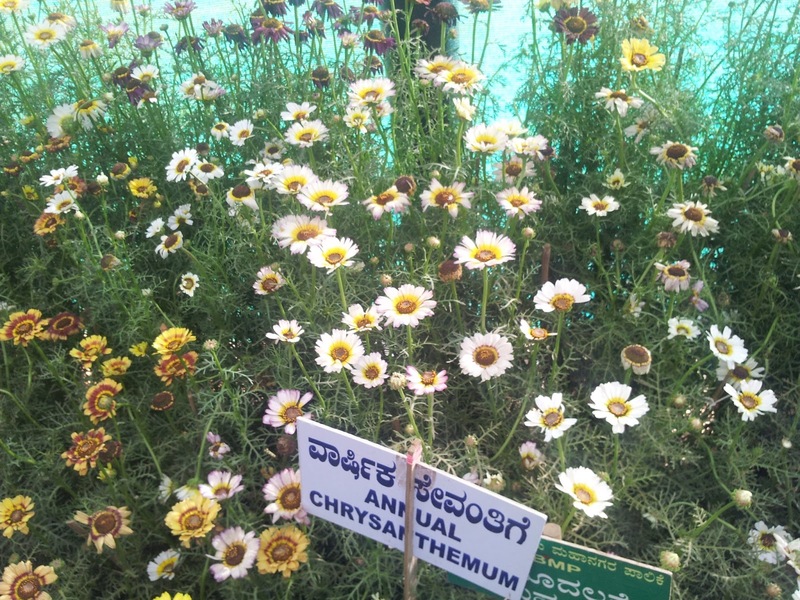 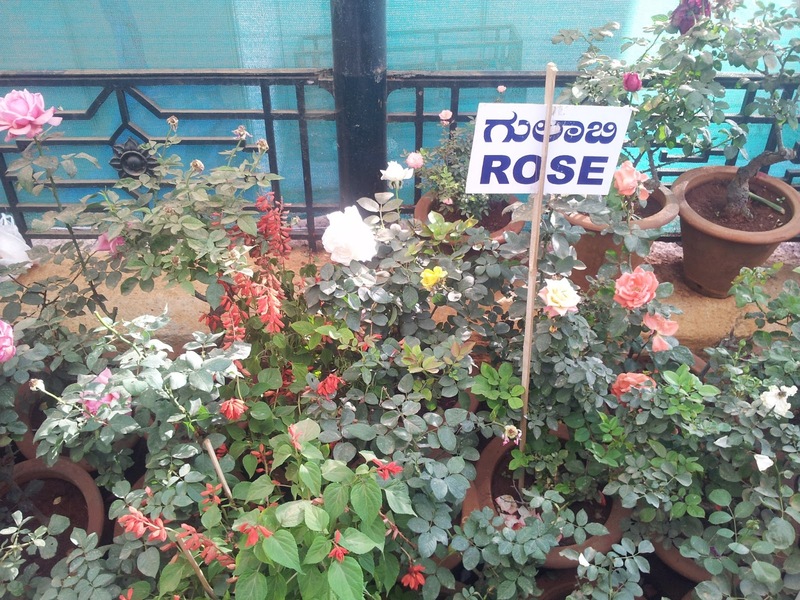 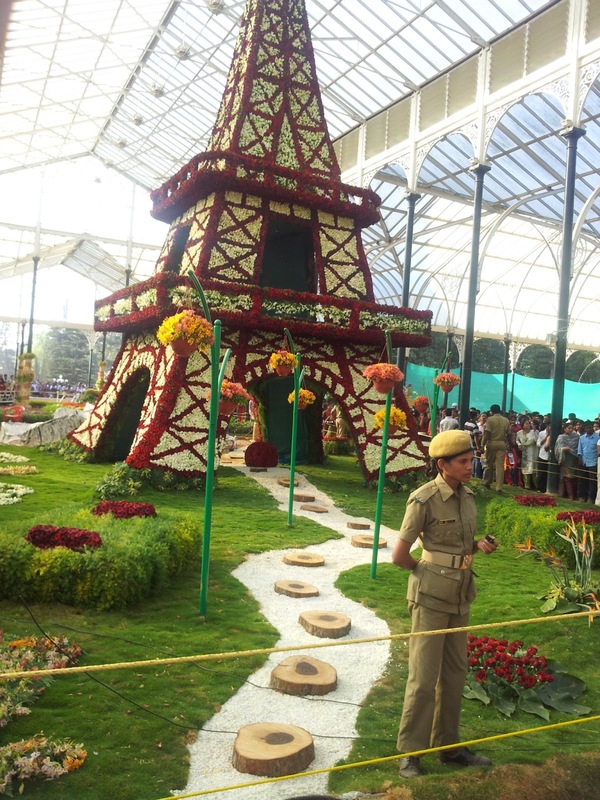 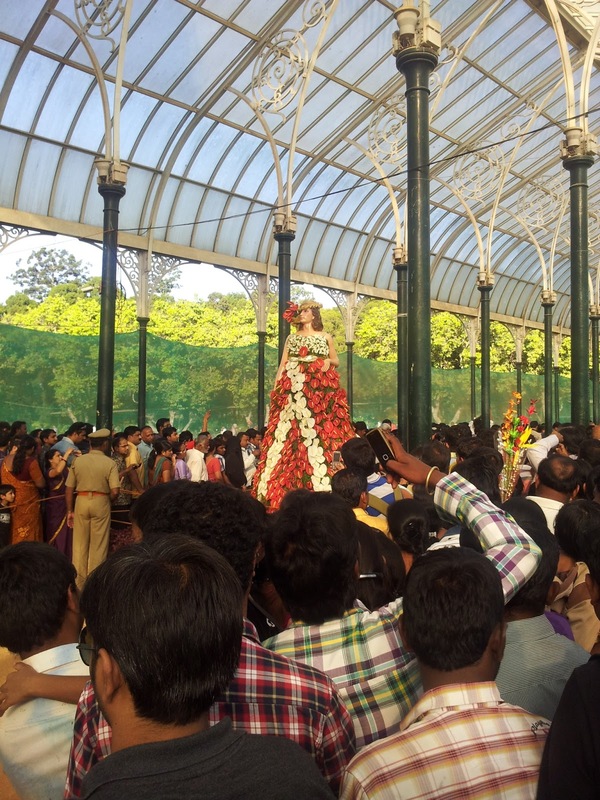 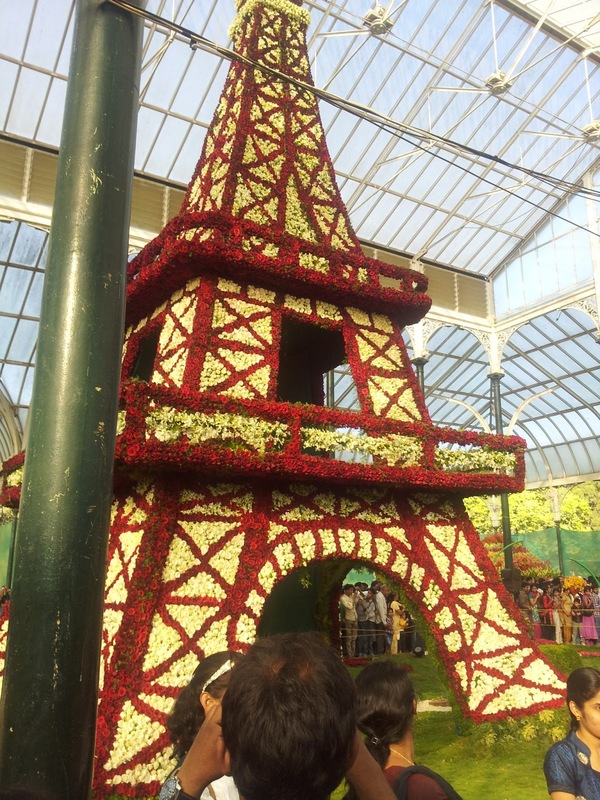 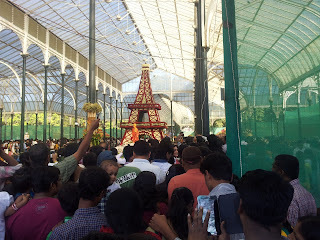 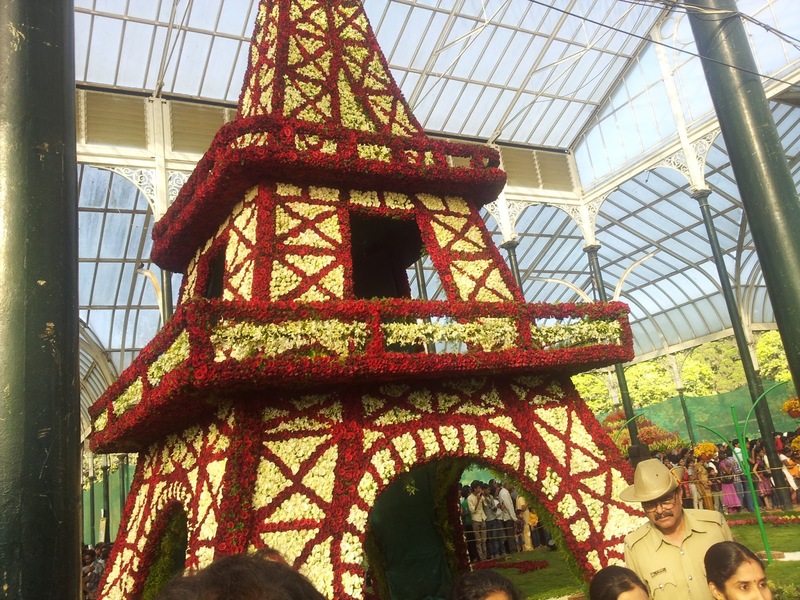 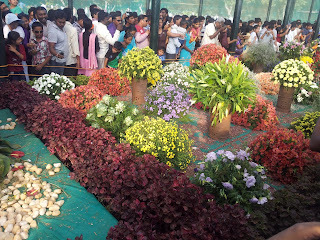 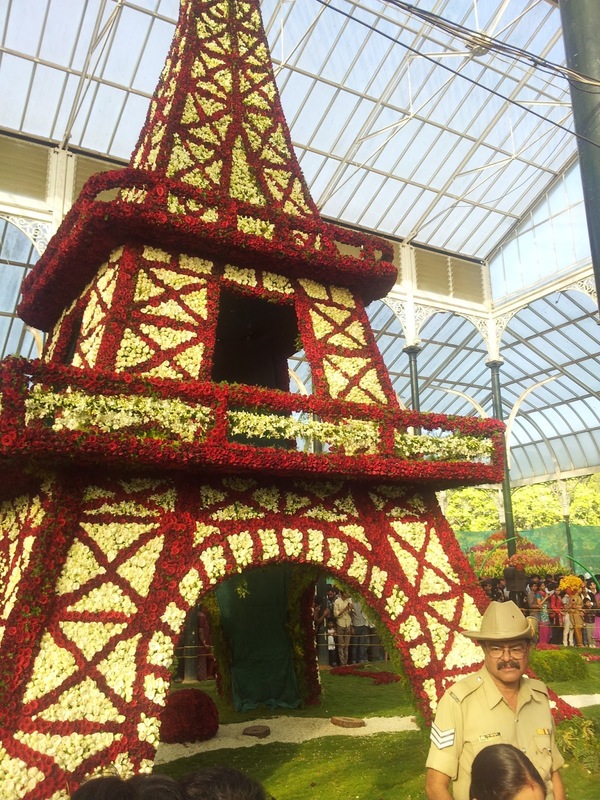 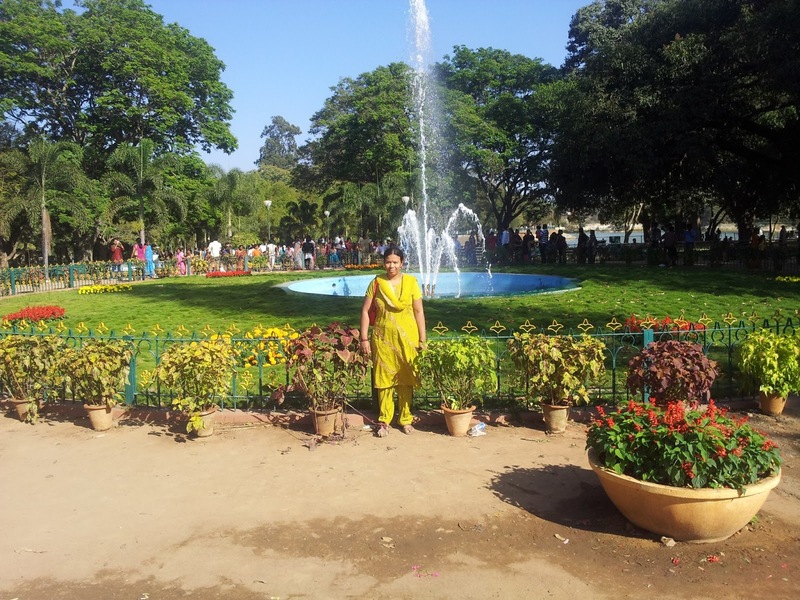 Had gone to the Lal Bagh Republic Day flower show today along with Smitha. 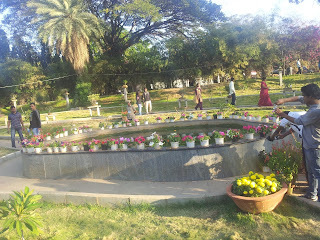 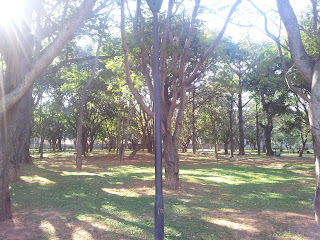 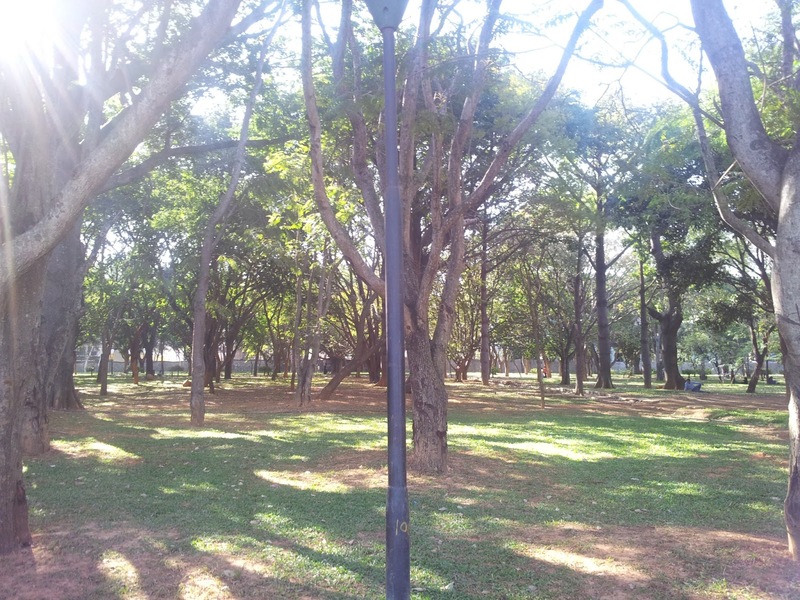 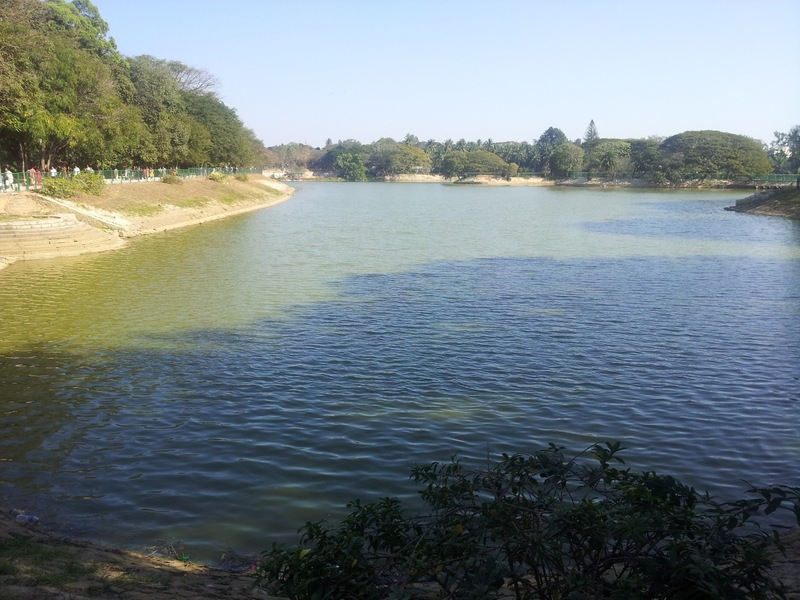 Had a nice time there for a few hours. 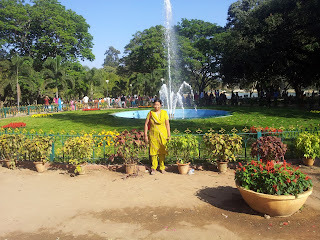 Had mango juice, grape juice and cucumber (ಸೌತೆ ಕಾಯಿ) there, served by Hopcoms. We went by car from home, parked the car at Gandhi Bazaar (~2 km from Lal Bagh) since finding parking near Lal Bagh seems to be a tough task; took an auto from there to Lal Bagh. 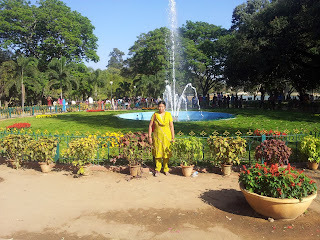 While coming back, we went to Roti Ghar at Lal Bagh. 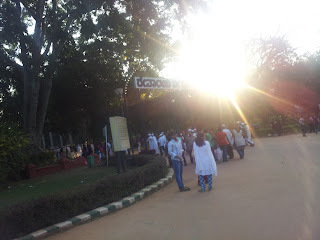 The original plan was to go to Vidyarthi Bhavan, but, since it was overcrowded, went to Roti Ghar.